We create intimate & tailor-made ceremonies in the most charismatic city in Europe, close the beach and the perfect warm weather. Love Gracefully will organise your dreamed Barcelona elopement so you have nothing to worry about. Keep reading! Organizing elopements in Barcelona for more than 10 years, we know the best vendors and locations for your once-in-a-lifetime perfect day. Have you ever gone to a wedding and got bored because the celebrant said the same thing you already heard a hundred of times? At Love Gracefully, templates are prohibited. We always start from a blank page to design your perfect Barcelona elopement ceremony that fits you 100%. We will take the time to get to know your love story and your values. 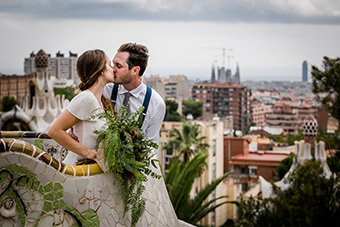 We love this uniqueness, and it should be present when you elope in Barcelona. We create each time a brand-new celebration. 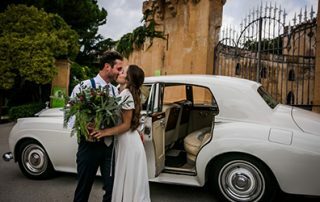 Eloping in Barcelona is perfect for a day-dreaming couple, who wants to forget about the stress to plan a big wedding at home, but still wants to celebrate their love in a unique way. 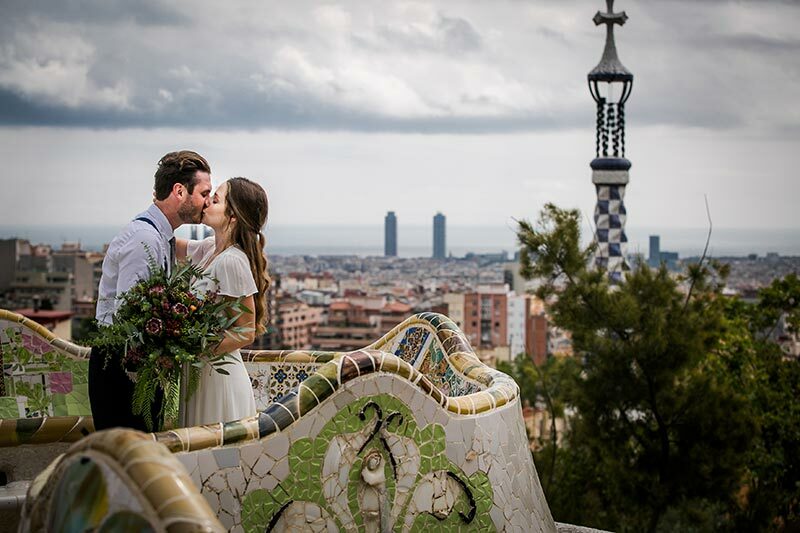 A custom elopement ceremony in Barcelona will allow you to enjoy the excitement of a real wedding mixed with the exclusivity of an intimate ceremony in one of the most romantic places on Earth! 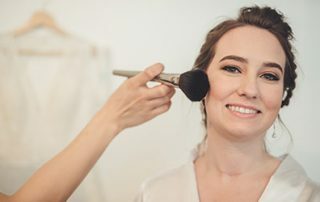 As we’ve been organising Barcelona elopements for the last 10 years, we know the best providers in case you need them: photographers, make-up artists, florists, luxury cars… This is all about you, and we will make it happen. Don’t hesitate and elope in Barcelona with Love Gracefully. Do you dream of a boho-chic elopement with views to the sea? 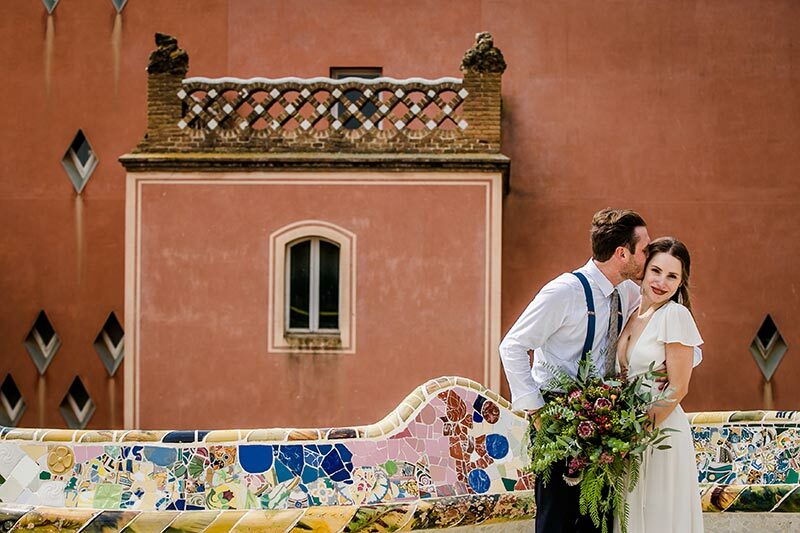 or do you prefer a romantic & colourful symbolic ceremony with Gaudi’s background? 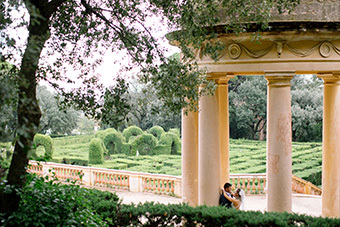 These are our curated locations where you could celebrate your Barcelona elopement! We offer different elopement packages in Barcelona to cater your desires. Please feel free to contact us if you have questions or you need something that isn’t included. Your perfect Elopement Ceremony in Barcelona is real thanks to our wonderful team of celebrants, wedding planners, photographers and so on. This guarantees a wonderful tailor-made elopement in the beautiful city of Barcelona. Pierre is the leading celebrant in Barcelona, and Love Gracefully founder. 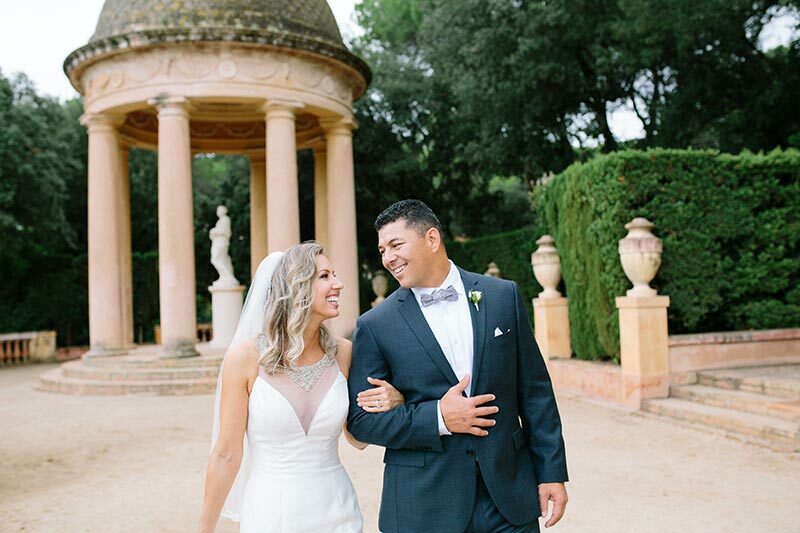 He’s in charge to create, along with our team, the perfect elopement ceremony in Barcelona. 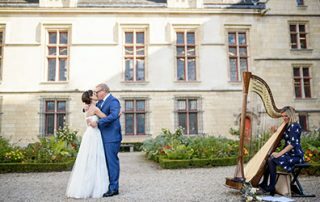 He celebrated hundreds of ceremonies through his career, each one unique in its own way, and he was pioneer offering elopement ceremonies & destination weddings abroad. Be assured that Pierre and his team will cater for your needs, no matter what it is you are seeking to arrange, and where you wish it to happen. Lorena has been working in the wedding industry for the last 12 years and joined Love Gracefully in 2016. Resolutive, responsible and detail-oriented. She’s a dreamy, creative and sensitive person who lives with emotion and passion everything that surrounds her. She will be in charge of booking and coordinating all our vendors to suit your desires and ensure you have an excellent Barcelona elopement. 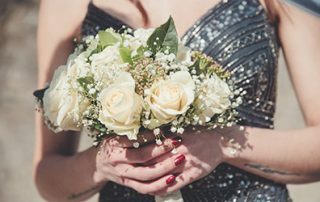 She will also take care of all the little details and inspire you with her graceful ideas and expertise, so your elopement ceremony will be tasteful, elegant and romantic. To make your dreamed elopement ceremony in Barcelona come true we work with the finest vendors and providers in the city. According to your taste and desires, and the look & feel you want for your symbolic celebration, we will suggest you the wedding professionals who will make it real. Our photographers, make-up artists, hairstylists, florists and more have the perfect Mediterranean style you will only find in Barcelona. We successfully created intimate & special elopement celebrations in Barcelona for hundreds of couples. You can discover their stories here. 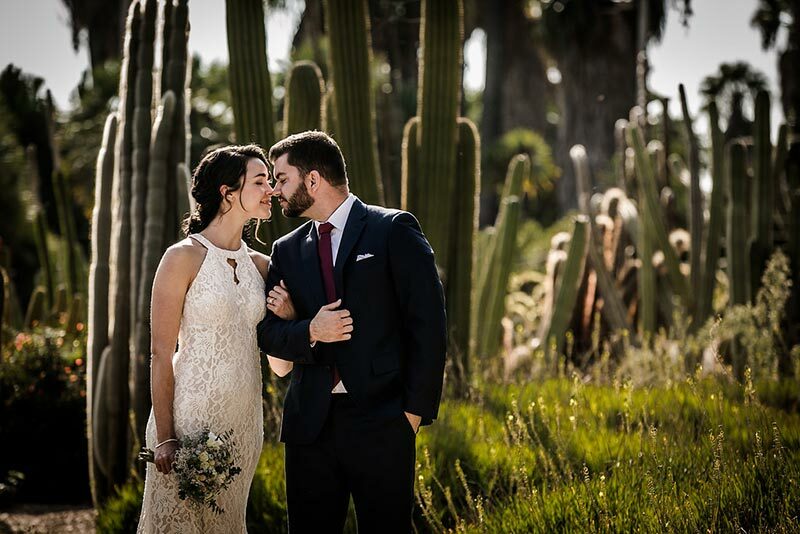 Because we want you to remember this Barcelona elopement ceremony forever, We will be at your sides every step pf the way to planning your celebration. 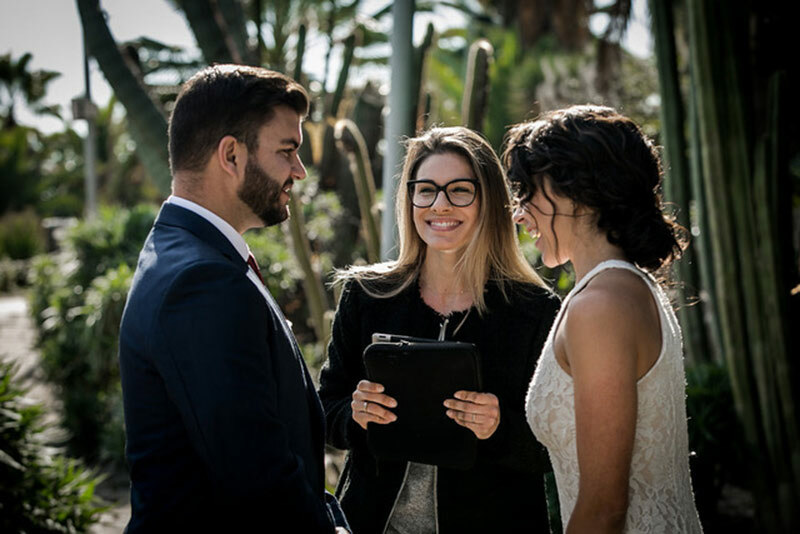 From the very first questions you might have about: where is the best place to marry in Barcelona or where to renew you vows in Europe, or even what to wear on a winter wedding, we will guide you through the difficulties of planning an elopement ceremony from far away. Our celebrant & wedding planner team will of course help you choose the best location for your special day. I will also introduce you to the people we love working with: a variety of talented artists and professionals such as photographers, filmmakers, musicians, hair and make-up artists. We only work with people who share the same passion and professionalism as I do. 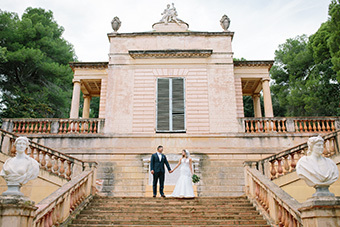 Experts who have a love of beauty and the desire to create truly tailor-made Barcelona elopement ceremony. 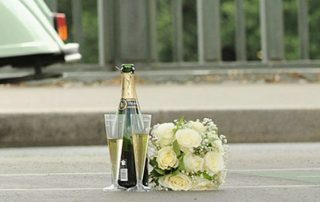 Do you need more information about eloping in Barcelona? Feel free to fill this form and we will contact you. Check the most common questions our couples have before they decide to elope in Barcelona. Feel free to contact us for further information. Will my Barcelona elopement ceremony have a legal value? As we state before, our Barcelona elopement ceremonies are purely symbolic, meaning that they have no legal value. The idea here is that due to heavy paperwork, rules and translations issues in a foreign country, we suggest to couples to have the paperwork done at home and come to Europe to celebrate fully their love. Our specialty is the celebration of love, but not the paperwork. You can see Pierre explaining this in this video. Will my Barcelona elopement ceremony be a religious one? 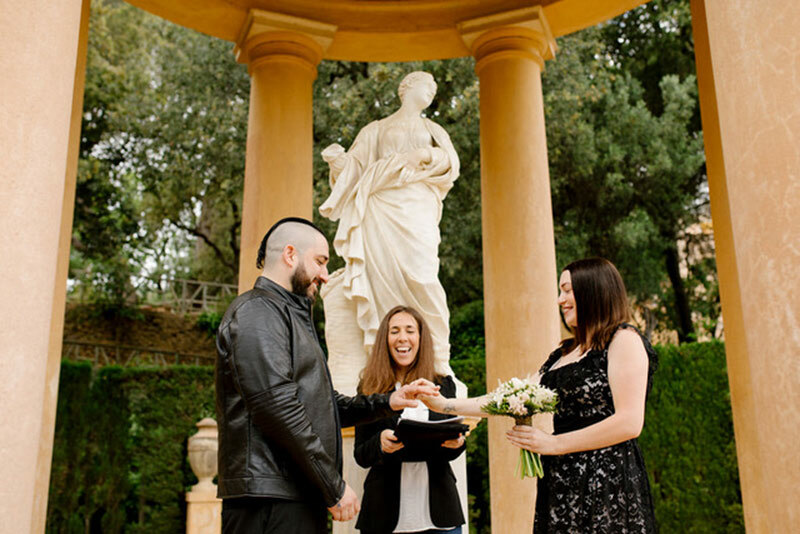 Our Barcelona elopement ceremonies are totally personalised. They can either be spiritual or not at all. They are designed to meet your beliefs. Any God is welcome as well as an atheist or… In that sense, Love Gracefully is a secular company that embraces all beliefs and all non-beliefs. But our officiants are not priests, nor pastors, nor rabbis. What happens if there's bad weather during the elopement in Barcelona?